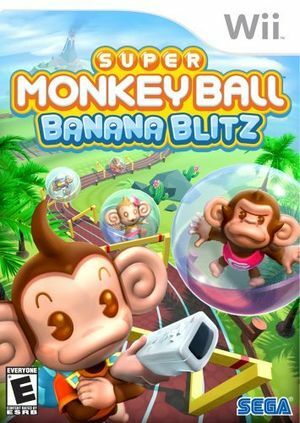 In Super Monkey Ball: Banana Blitz AiAi and all his friends have rolled their way onto Nintendo's console with mind-blowing puzzle levels and a wealth of new and exciting Party Games specifically designed to fully exploit the innovative Nintendo Wii controller. AiAi and his friends have the ability to jump when players flick the Nintendo Wii controller in an upward motion. The ability to jump has given game designers another dimension in which to expand the Super Monkey Ball gameplay experience and allows gamers a great way to interact with the franchise; this time in true three-dimensional fashion. The Party Games, for which the Super Monkey Ball franchise is famous, return with more variety than ever. The game freezes when the final boss tries to do his special attack. Refer issue 10640. The graph below charts the compatibility with Super Monkey Ball: Banana Blitz since Dolphin's 2.0 release, listing revisions only where a compatibility change occurred. This page was last edited on 29 May 2018, at 04:06.